1- WHAT MAKES RITE-WAY POOLS INC. UNIQUE? Personalized and honest service – Ron and Justin will make sure your pool project is done right. 2- WHO IS THE LICENSE HOLDER AND THE STATE OF FLORIDA QUALIFER FOR THE COMPANY? 3- How long has the company been in business and what type of experience do the company owners have? Rite-Way Pools Inc. has been in business since 2002. Ron has been in the swimming pool industry since 1978 in distribution and retail sales; Justin has been involved in the swimming pool industry since 2002. We have built pools and spas from 3000 gallons to 50,000 gallons. Pools constructed have been standard shape to custom design, single and multi level, residential home pools and apartment pools and spas. We have built pools and spas, fountains, negative edge pools and water features. Justin and Ron spend time each year training on new products and learning about the latest components available for today’s swimming pools and spas and fountains. 4- What is the initial deposit required and the payment schedule for the project? Rite-Way Pools Inc. requires a $500.00 deposit to begin the process of construction. This covers engineered plans and drawings required for submittal to the local building authorities. We request payment for the project as individual items are complete. Most projects are scheduled for 8 to 9 separatpayments. Rite-Way Pools Inc. only requests payment when items are complete and the final payment is due when ALL FINAL inspections have been completed. 5- Are Credit Cards Accepted For Payment? Rite-Way Pools Inc. accepts Master Card, Visa, and Discover. 6- How long does it take to build my new swimming pool? The standard time it takes to build a pool once the permit has been issued and we dig is approximately 45 working days (weather permitting). 7- Once the contract is signed who will we be in contact with at the company? During the process, from beginning to end you will contact the owners of the company, either Ron or Justin with any questions with might arise. We are the sales and design team, also the construction crew. Our cell phones are always available through out the project and after we finish your new pool. Rite-Way Pools Inc. does not employ commissioned sales people. 8- What brand equipment is installed and why do you use that brand? Hayward Manufacturing, Founded in 1923 is one of the oldest and largest manufacturing companies in the swimming pool and spa industry. Hayward has multiple factory representatives in the South Florida area. Hayward is continually developing new leading edge products for the pool and spa industry. Product testing by Hayward’s Quality Assurance Group. Hayward’s Three Year, Bumper To Bumper Warranty on all Hayward products installed. 9- Who does the warranty work if the pool equipment breaks? Rite-Way Pools Inc. is a Hayward Factory Authorized Warranty Service Center and handles all warranty issues. Rite-Way Pools Inc. is also a member in good standings in the Totally Hayward Partner Program (Member # 114905). 10- What is the guarantee for my new swimming pool? Rite-Way Pools Inc. offers a lifetime structural warranty for the pool shell (Through The Gunite Installer), three year factory warranty on Hayward equipment, 10 year factory warranty on the pool finish & three years warranty on our labor. 11- Is the company insured? Rite-Way Pools Inc. is fully insured and can provide copies of our insurance certificate upon request. Rite-Way Pools Inc. can provide references upon request. Rite-Way Pools Inc. installs only safety channel drains in the deep end of the pool, we do not use standard round dual drains. We also install only variable speed pumps (highly energy efficient and State of Florida required in 2012). The Hayward 200 square foot cartridge filter is our standard filter and a chlorine erosion feeder is installed if a salt chlorinator is not a part of the pool system. We also use software to produce 3D pictures and a video of your new backyard oasis before any construction is begun. 14- WHAT IS DIAMOND BRITE? Diamond Brite is a trade name for a product manufactured by Southern Grouts & Mortars. The correct terminology for this product is exposed aggregate material. 15- DOES RITE-WAY POOLS PROMOTE DIAMOND BRITE BUT INSTALL ANOTHER BRAND OF EXPOSED AGGREGATE MATERIAL? We will install the brand of material you instruct us to install. NOTE: SOME POOL COMPANIES PROMOTE DIAMOND BRITE OR FLORIDA GEM BUT ACTUALLY INSTALL A CHEAPER BRAND OF EXPOSED AGGREGATE MATERIAL. YOU ARE THE CUSTOMER, WE WILL INSTALL THE PRODUCT YOU WANT! 16- IS THERE REALLY A DIFFERENCE IN THE TYPE OF EXPOSED AGGREGATE MATERIALS? Yes, Rite-Way Pools only installs Diamond Brite or Florida Gem material. (Diamond Brite is manufactured by Southern Grouts & Mortars and Florida Gem material is manufactured by Florida Stucco Corporation). We believe these two brands are the best exposed aggregate finishes on the market today. 17- WHY ARE THESE TWO BRANDS OF EXPOSED AGGREGATE MATERIAL THE BEST? These two brands of material have been on the market for over twenty years, they are both manufactured in south Florida using quality ingredients and both have local factory representation. 18- WHICH OF THESE TWO BRANDS OF EXPOSED AGGREGATE MATERIAL HAVE THE BEST LIMITED FACTORY WARRANTY? Florida Gem carries a ten (10) year warranty, Diamond Brite has a ten (10) year warranty. It is best for you the customer to review each written warranty and decide which one will be best for you. We will be happy to share our thoughts and help guide your decision. 19- WHAT IS BOND KOTE OR POOL PREP? This is the material that is rolled on the pool surface before your new exposed aggregate finish is applied. This material creates a “Bond” between your old pool surface and your new pool finish. This is a very important step and should not be eliminated. NOTE: RITEWAY POOLS USES ONLY FACTORY PRODUCED BONE KOTE OR POOL PREP. WE DO NOT SUBSTITUTE ANYTHING IN THIS PRODUCT. 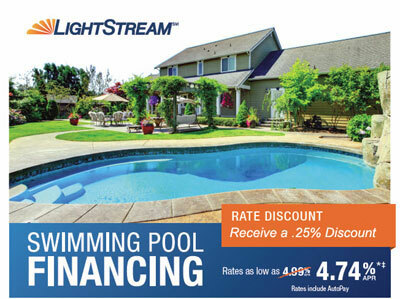 SOME POOL COMPANIES SUBTRACT FROM THE BONDING AGENT TO “CHEAPEN” THE PRODUCT, THIS IS AN UNACCEPTABLE PROCEDURE WHICH WE DO NOT PARTICIPATE IN. 20- WHAT IS TILE UNDER CUTTING? If you choose to retain your existing tile we will undercut your tile to allow the new finish to “Roll in under the tile. Some companies do not practice this procedure, we believe this step is important to insure quality workmanship.